Home Equipment Solutions Which Equipment is Right for Your Job? Which Equipment is Right for Your Job? Projects that require some degree of height to accomplish typically need access equipment to get the job done. 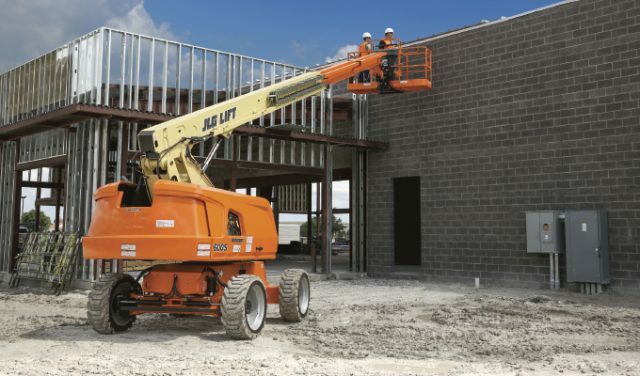 Primarily used in construction and maintenance, mobile elevating work platforms (MEWPs) perform a wide range of tasks from lifting heavy loads to changing lightbulbs. Choosing the right equipment for a project involves analyzing the task at hand and partnering it with the MEWP that will deliver a safe, most-efficient, and highest-performing outcome. Both the type of work and the location where the work will be performed are the top considerations when selecting lift equipment. Indoor jobs typically require smaller machines with a reduced profile and non-marking tires, while outdoor projects often call for larger machinery with all-terrain wheels to navigate construction sites. Below is an overview of the various types of MEWPs and the applications best suited to their capabilities. Boom lifts can tackle tough jobs in high locations because of the product’s extensive reach. Telescopic booms use a hydraulic cylinder and multiple boom sections to reach out further with high platform capacity. These lifts can also deliver the greatest horizontal reach and rotate a full 360 degrees. Since telescopic booms can reach as high as 185 feet, the products are ideal for work on high-rise buildings and other tall structures such as hotels, hospitals, dormitories, etc. For jobs that require additional flexibility to navigate around various objects, both straight and articulating boom lifts are available with a versatile jib to maneuver over objects for exact positioning. Much like a human arm, articulating booms have a joint that allows the boom to bend and reach up, over and even around objects. Articulating booms are generally shorter in overall length than straight boom lifts and are therefore more easily maneuvered around congested jobsites. Electric boom lifts offer a more cost-effective and environmentally friendly way to tackle indoor jobs. Look for electric lifts with rechargeable batteries to eliminate the need for an alternate power source while giving the machine additional freedom of movement. One type of electric lift is the compact crawler boom (CCB). This unit contains a tracked carriage and it has the ability to climb ramps and traverse soft ground. Its low profile and narrow chassis allow it to fit under and through tight spaces. When set up, it spans across a much wider area, which disperses its weight over sensitive flooring and delicate landscaping. CCBs can reach heights around 100 feet, making these machines well-suited for maintenance and repairs in atriums and auditoriums. Like engine-powered lifts, electric mast booms also employ a jib to reach up and over obstacles and are ideal for reaching high storage areas in warehouses, as well as changing lightbulbs in school gyms and auditoriums. These lifts are shorter, very maneuverable, and can be easily stored in a relatively small space. Many also feature non-marking rubber tires well-suited for indoor use. Unlike boom lifts, scissor lifts are limited to a vertical extension, which is typically confined to the machine’s footprint. What scissor lifts lack in angular extension, they make up for in efficiencies. Electric drive scissor lifts can provide more than double the battery life compared to hydraulically driven lifts and the drive function is smooth and easy to operate. Additionally, scissor lifts offer more workspace on the platform, as well as greater lift capacity compared to boom lifts, which is ideal for both indoor and outdoor applications with mid-range height requirements of 20-50 feet. Platform sizes vary to accommodate narrow spaces or allow for more tools and equipment. The main role of a telehandler is to pick and place or pick and carry materials from one place to another. Telehandlers have a profile similar to an industrial forklift but with the versatility of a telescopic boom that extends forwards and upwards from the vehicle. Ideal for renovation and construction projects, these machines offer additional performance versatility with a wide range of attachments, including fork carriages, truss booms, buckets, and work platforms. With sustainability and clean-air standards becoming omnipresent, companies are looking for more environmentally friendly lift solutions. One way to reduce the amount of machine emissions is to use a smaller diesel engine and supplement it with battery power. This hybrid solution allows the engine to run less, thus reducing the level of emissions. Additionally, hybrid lifts are becoming increasingly popular on jobsites since these machines are more efficient and can be kept on-site for the duration of the project. Hybrid-powered systems that use battery power with an internal-combustion generator are useful in the early stages of a project when there’s a lack of plug-ins for recharging. Hybrid machines are also quieter and exhaust-free for indoor use. 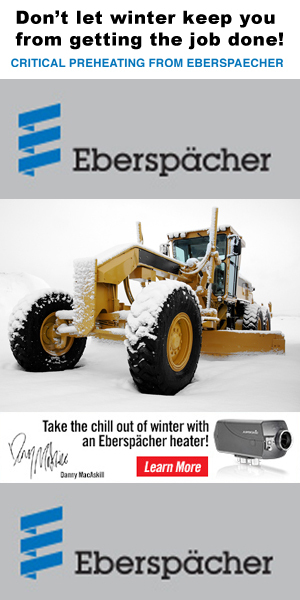 Another emerging trend is machine versatility. 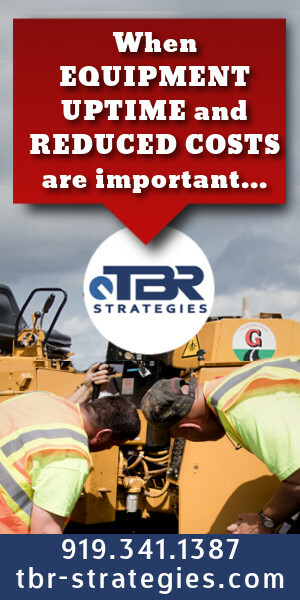 Driven by the current shortage of skilled equipment operators, contractors are seeking out multitasking machinery that allows them to complete multiple tasks within a project. This can typically be accomplished with multiple attachments or additional functionality built into the lift. Machine versatility also allows contractors to reduce the amount of equipment required on-site to reduce costs and free up valuable workspace. Additional benefits include increased efficiency, lower environmental footprint, and a positive impact on the bottom line. Advancements in technology will help drive machine versatility and functionality. 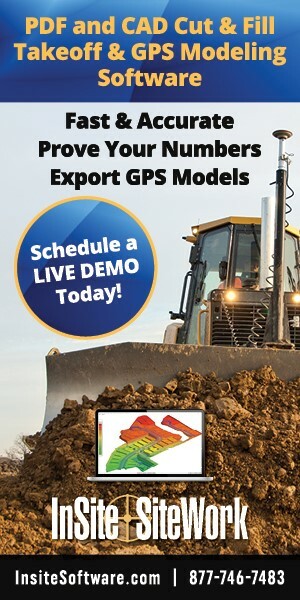 Features such as enhanced controls and monitors with touch-screen capability and remote equipment management technology (telematics) allow contractors to capture operational data that can be used to manage logistics, maintenance, and machine/operator productivity. Selecting lift equipment for any job must start by identifying both the type of work as well as the conditions where the work will be conducted. After specifying the piece of lift equipment that satisfies the outlined criteria, it’s best to investigate which model provides both efficiencies, as well as versatility, to accomplish the task in the most cost-effective and productive manner. Bill Dovey and John Boehme are senior product managers with JLG. For more information about which JLG equipment would be right for your operations, visit www.jlg.com.